The Hibulb Cultural Center and Museum hosts a lineup of classes that teach the Tulalip and Marysville communities about the traditional lifeways of the northwest Indigenous Peoples. Such classes include drum making, carving, beading, traditional flute demonstrations as well as storytelling and poetry nights. 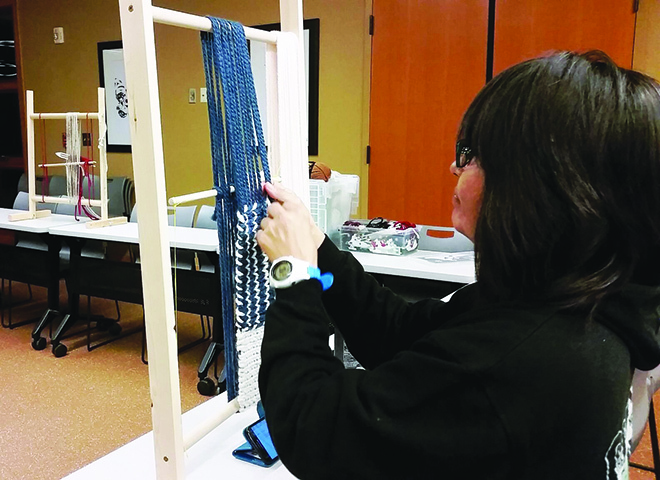 A series of classes that regularly attracts newcomers are the Weaving Gathering Workshops where participants learn how to weave an assortment of items including cedar baskets, loom blankets and regalia such as headbands, hats, neckties and purses. 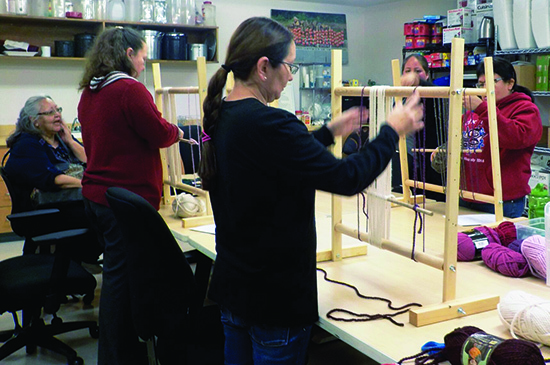 The workshops are taught in an open-forum style class setting that encourages attendees to work on personal projects and visit while mastering the art of weaving. In preparation for the annual Treaty Days Commemoration, a group of dedicated weavers have been working persistently, meeting each week since December, to create headbands to gift to the speakers as well as the floor and table managers during the ceremony. All ages are welcome to attend the weekly weaving sessions. The museum also invites weavers of any skill levels to participate during the gatherings. Cedar kits are available for purchase to help beginners get started. The workshops are held every Wednesday from 5:00 p.m. to 8:30 p.m. in the Hibulb Cultural Center Classrooms. For additional information please contact the museum at (360) 716-2600.